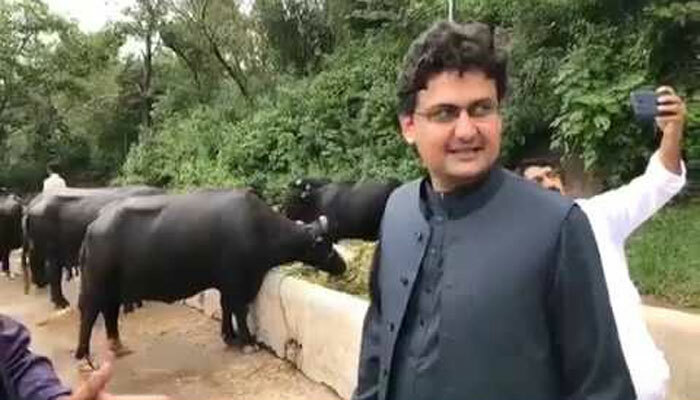 ISLAMABAD: The buffaloes that former prime minister kept at the PM House will be auctioned on September 27. A notification has been issued by the PM House administration regarding the auction of buffaloes. As per the notification, the auction of eight Nili-Ravi buffaloes will take place at 11:00 am at dairy farm of the PM House on September 27. The buffalos will be sold out to person who offers the highest bid. The notification also says the competent authority has also the right to reject the bid on any grounds. The buffaloes have been in the headlines since Naeemul Haq’s announcement that they will also be auctioned.